J. Paul Francis, B.A. (Hons), LL.B. The son of the late Lloyd and Margery Francis, Paul Francis founded Francis Lawyers in 1974 and continues the practice to this very day. His practice consists of real estate, corporate and commercial law, as well as wills and estate administration. Paul also has a long history of assisting his clients with all aspects of residential and commercial real estate transactions, as well as the acquisitions or sale of businesses, reorganizations of corporations for tax and succession planning, partnerships, debt and equity financing, franchising, joint ventures, and not-for-profit and charitable organizations. He further assists clients with preparing wills and various trusts, and guiding clients through succession planning, including at the administration of estates. 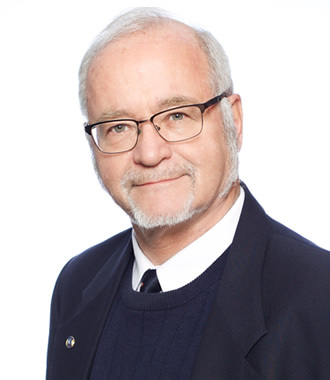 Paul’s forty-five years of experience as a solicitor gives him the ability to analyze and solve complex problems, which he invariably accomplishes with his trademark sense of humour. Paul obtained a Bachelor of Arts in History from the University of Toronto and his Bachelor of Laws (LL.B.) from Queen’s University Faculty of Law. When not in the office, Paul can be found at his home library with over 1,000 books, deep-sea fishing in Florida, or supporting the Ottawa Senators at Canadian Tire Centre!